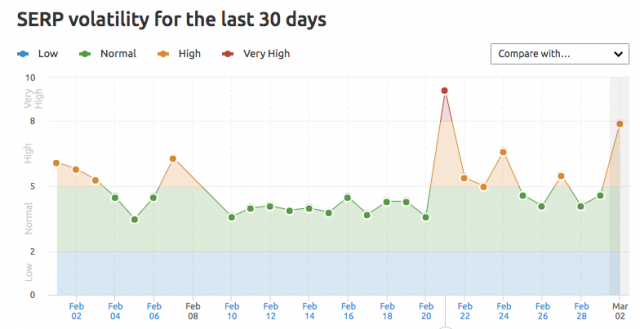 Google Search Algorithm Update Brewing? Depends Who You Ask. Home > Google News > Google Updates > Google Algorithm Update Brewing? Depends Who You Ask. In the thread there are people saying both, so maybe it is niche specific, maybe it is a slow roll out, maybe it was a bug and roll back or maybe it is Google messing with some folks? Who knows. 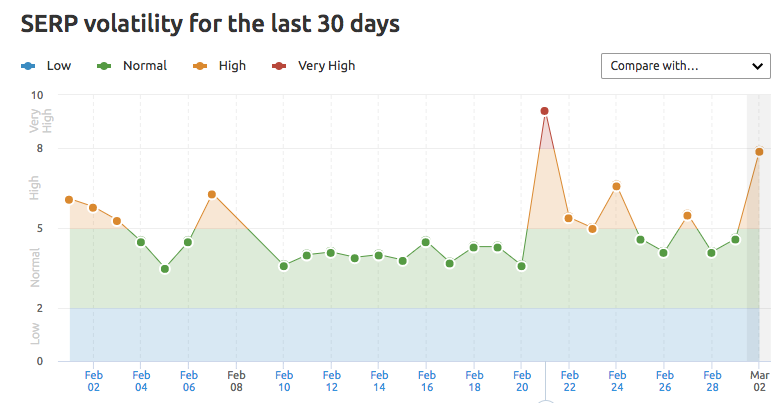 But some of the tools are showing normal volatility and some are showing spikes and large changes in the Google rankings. So the tools are matching the webmaster/SEO chatter around there is an update and there isn't an update. Maybe it is just starting to brew up? Biggest drop ever. Much bigger than every panda or penguin. All the work does not pay off. The only winner in this game is google itself. Down for me too.. I've lost 50% + traffic in November update, but I didn't give give, I've recovered traffic to some extent. Since then I'm trying to build my own reader base not dependent on any third party service. Seen a bit of a drop on March 1st. Nothing dramatic just yet. No drop here. Traffic has been good this week. Even AdSense has shown a huge improvement over the past few days. Are you guys seeing anything?